Embracing the increasing connections between the two cities, Milton and the Janesville Area Convention and Visitors Bureau are partnering to promote tourism for Janesville’s closest neighbor. The city of Milton, the Milton School District and the Milton Area Chamber of Commerce are chipping in $5,000 apiece for a one-year contract with the Janesville Area Convention and Visitors Bureau. The collaboration will leverage the visitor bureau’s expertise and resources to draw more visitors to Milton, Milton City Administrator Al Hulick said. All four partners will have the option to renew their contracts after the deal’s first year, he said. Visitors bureau Executive Director Christine Rebout will share details of the partnership at Monday’s Janesville City Council meeting. 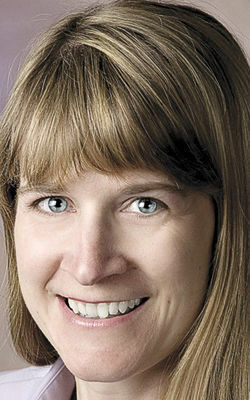 It will still keep the entities separate—Milton money will be used for Milton projects, and Janesville money will be used for Janesville projects, she said. Partnering makes sense for both sides. Janesville has the hotel space Milton doesn’t have. And some of Milton’s biggest tourism assets, such as the Milton House and wineries, are attractions not found in Janesville. People are more likely to visit the area if they know of more options to check out, which strengthens the entire region, Rebout said. Hulick said tight municipal budgets and a thin staff made it difficult to promote Milton. Nobody on staff is a marketing expert, either, so it was hard to know whether their occasional, on-the-side efforts were working. Hulick, a former Janesville city employee, had a past relationship with the visitors bureau and pitched the idea about a year ago. It took time to determine how the partnership would function, he said. Rebout said the visitors bureau sometimes partners with other communities on single projects. Working with Milton has the potential to expand to other cities in Rock County, but nothing is planned right now. A lot of the Milton money would likely go toward social media campaigns, which has given the visitors bureau a strong return on investment in the past. Rebout also saw potential for advertising along Interstate 90/39, she said. The tourism connection is yet another link between Janesville and Milton. The two cities already share administrative duties between their fire departments, and the Milton School District borders juts into Janesville. When: 6 p.m. Monday, Jan. 28. The city's neighborhood and community services department will give a presentation on an indoor sports arena feasibility study. Janesville hired a consultant in fall to do a survey seeking public input on the need for a new sports arena. City officials wanted to explore whether to replace the aging Janesville Ice Arena. The council will hold a public hearing and possibly take action on a proposal to rezone part of the former south side Pick 'n Save property from commercial to light industrial use. The plan commission approved the proposal last week.